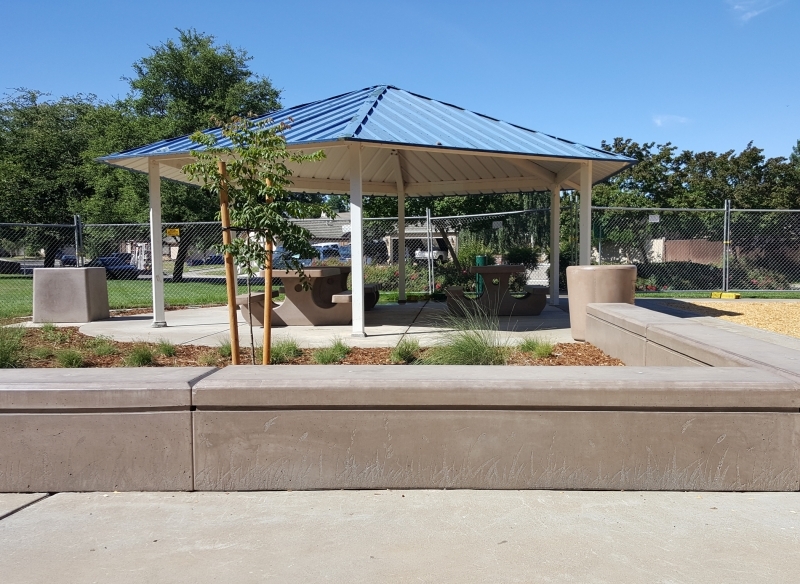 Oneto Park, located in Elk Grove, California, is being updated. 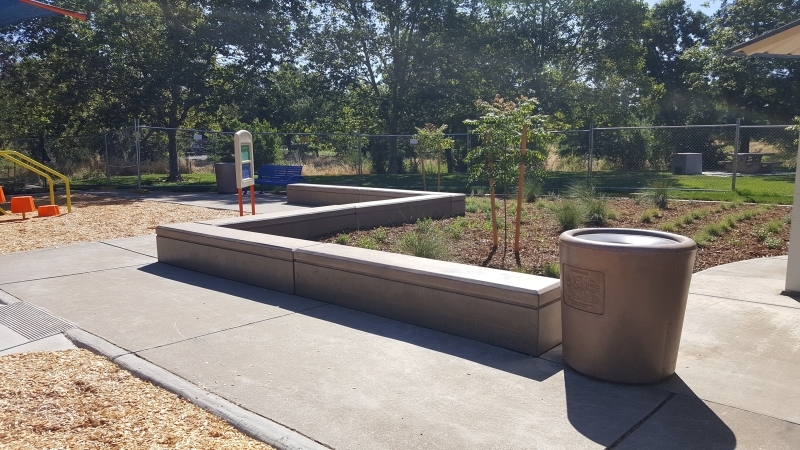 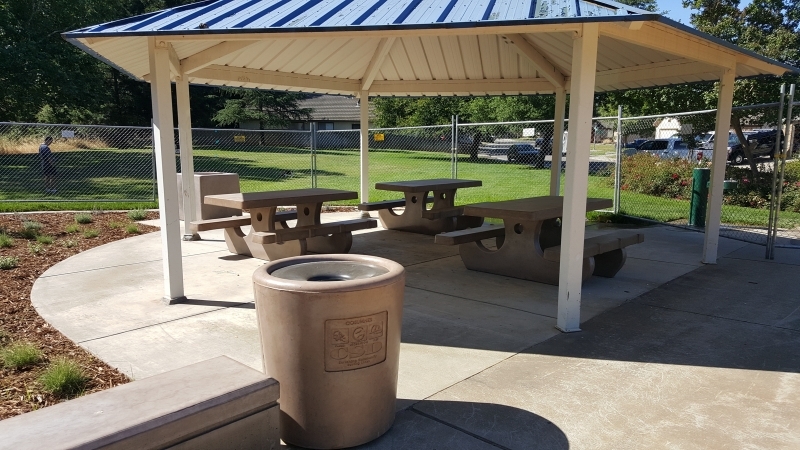 The park received new 6' concrete picnic tables (model #101S), trash receptacles (model #500), family barbecues (model #300A), custom seat walls and custom concrete sculptures (books). 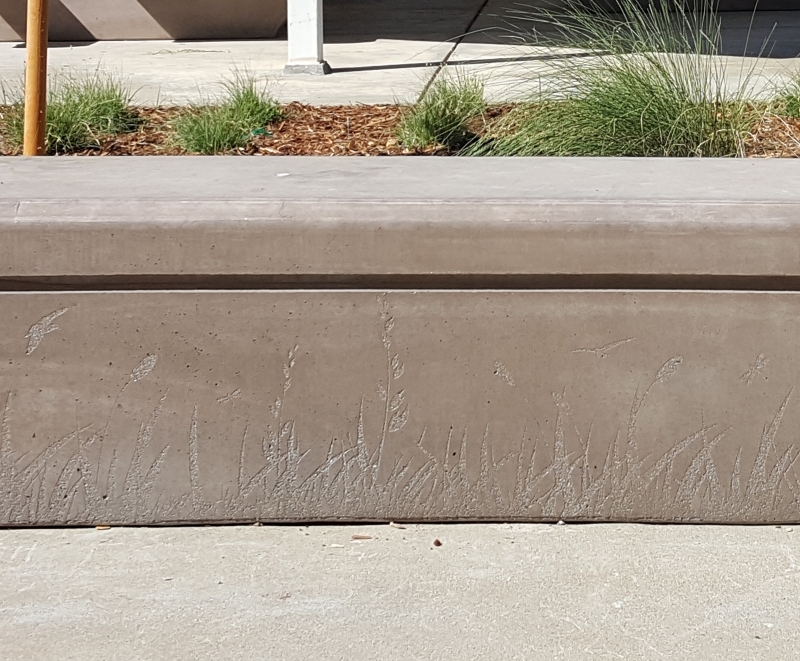 The trash receptacles featured cast in logos and the seat walls have engraved artwork. 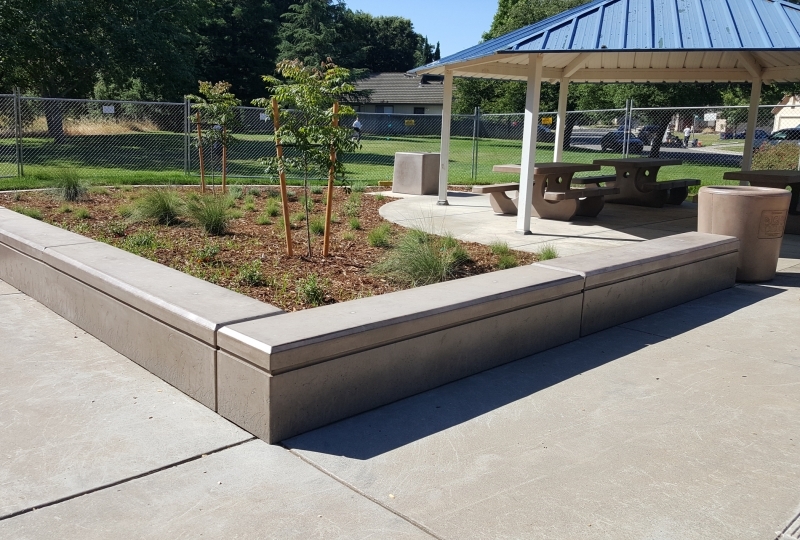 The customer saved time by having us manufacture the seat walls as precast instead of poured in place. 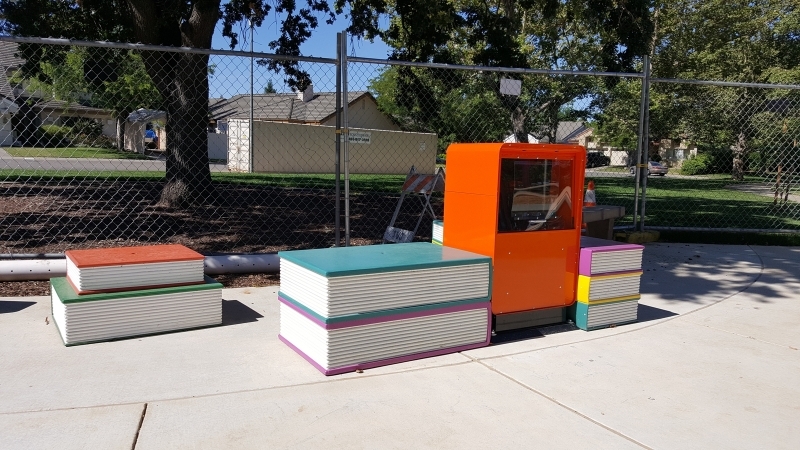 The books were used in conjunction with the "little library" installed at the park.